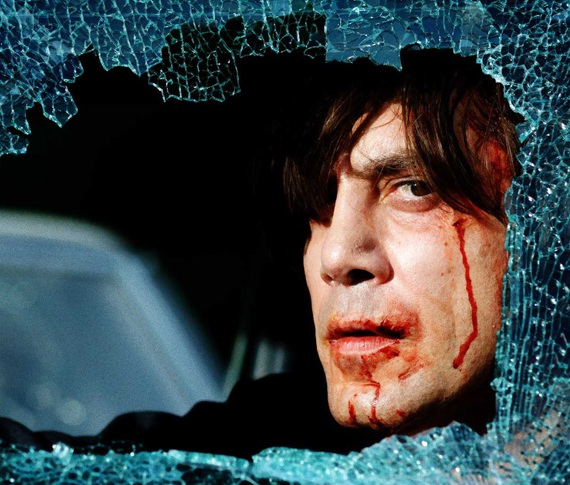 Written and directed by Joel and Ethan Coen, based on the novel by Cormac McCarthy, No Country for Old Men (2007) is certain to become a Classic. 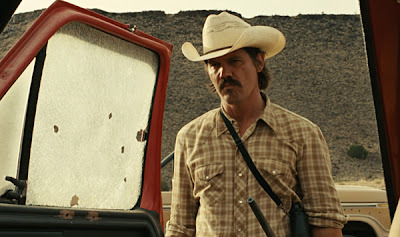 Easily one of the best films of the past decade, the plot is solid and full of tension and thrills, and the film was highly honored at the Academy Awards. Focusing on a regular guy that stumbles upon a lot of money in the aftermath of a drug deal, and the ensuing chase by a deranged killer to retrieve the cash, the acting is fantastic all around. 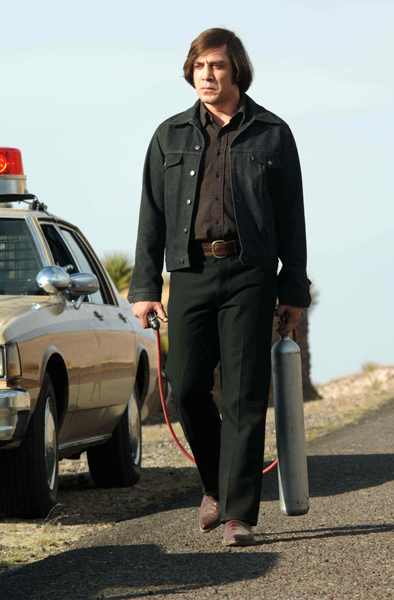 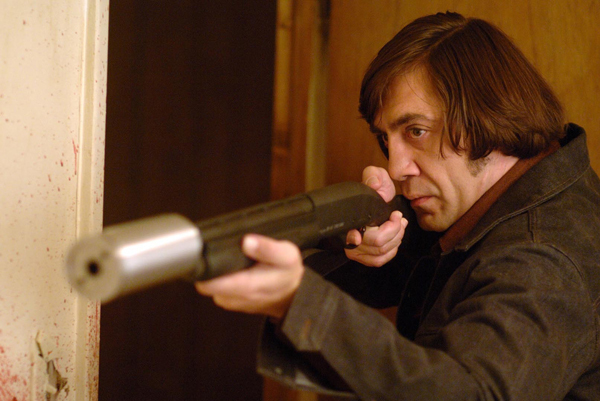 Javier Bardem is chilling as the psychotic killer with an air gun, Anton Chigurh. 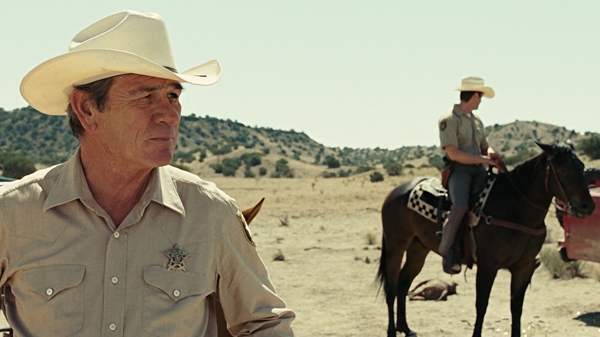 Josh Brolin, Tommy Lee Jones and Woody Harrelson are all great as well. 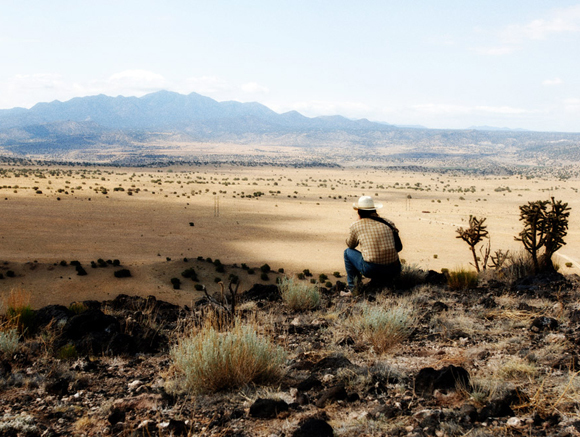 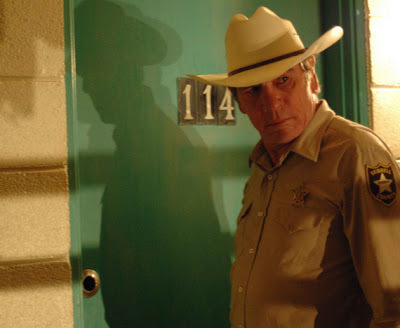 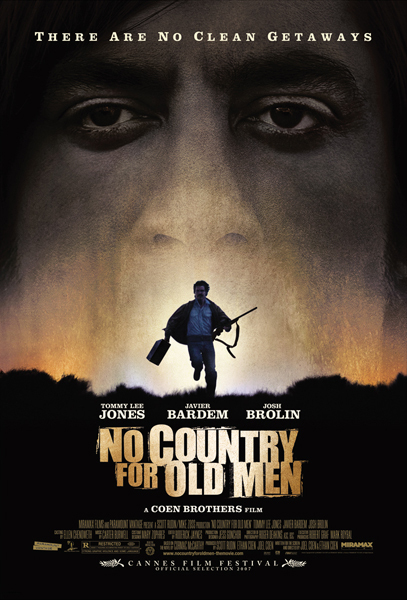 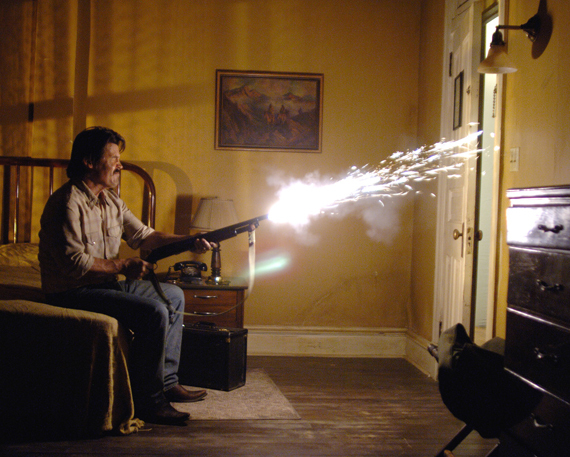 No Country for Old Men is a "must see" modern Western-meets-Film-Noir.